SOUTH Africa based businessman, Mutumwa Mawere, has demanded that deputy minister and Zanu-PF politburo member Patrick Zhuwao, who is also President Robert Mugabe's nephew, "retract defamatory statements" he made in a recent article by close of business Monday or face "the necessary legal action". Zhuwao, one of the drivers of Grace Mugabe's so-called Mazowe Crush Movement which has been scandalising vice president Joice Mujuru in a bid to force her ouster from the party and government, accused Mawere of being a "speculative political entrepreneur" (SPE) who used political influence for personal commercial gain in the process causing huge "political and ideological damage" to the country. 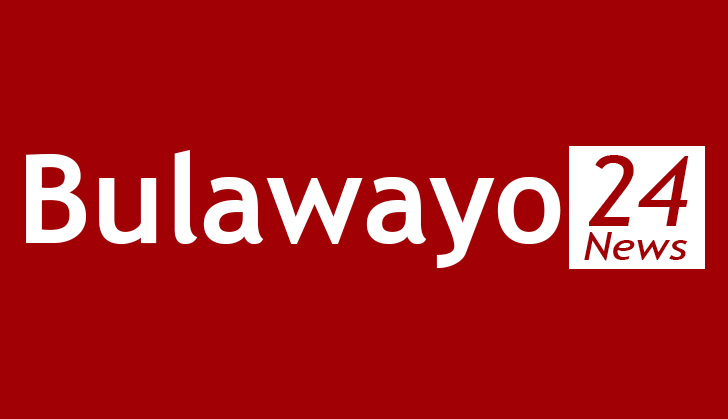 In an article for the Sunday Mail, Zhuwao suggested that Mawere was "ideologically bankrupt, devoid of ethics, morality and decency". He claimed that the businessman tried to undermine the country's land reform programme adding that his association with Emmerson Mnangagwa, currently Justice Minister, triggered the decline in the latter's political fortunes as he lost to 2004 vice presidential contest to Joice Mujuru. But Mawere told Zhuwao to stop thinking that "you are some form of higher authority or tribunal" and arrogating himself "a higher moral ground that allows you to adversely judge others with no regard to the constitutional, legal and moral consequences." He urged the Zhuwao to desist from "using the platform provided by the Sunday Mail to distort, scandalise and negotiate your future role in Zanu-PF on the back of innocent persons." I refer to our meeting of Tuesday, 25 November 2014 following your article entitled: "Bad Leaders must be kicked out - now" published by the Sunday Mail on 23 November 2014. You will recall that I called you on Tuesday to register my concern and disappointment with the content and context of your article in so far as it referred to me. Since you were in South Africa, we agreed to meet to allow you to explain the basis on which you had made serious allegations and defamatory statements against me in your article. At our meeting, you admitted that the said article and statements regarding my affairs were not based on any facts and circumstances known to you. Contrary to what we agreed to, that you must apologise for the defamatory statements made, I have now read yet another article authored by you under the title: "Boosting business performance for Zim-Asset success" that was published by the Sunday Mail on Sunday, 30 November 2014, in which no apology is made by you, notwithstanding the fact that I took my time to meet with you not only to give you the correct facts regarding the acquisition of SMM Holdings (Private) Limited ("SMM") and related matter. It is astounding that you have chosen to reduce unwarranted defamation to some kind of joke. You state that: "Mr. Mawere made submissions arguing that his acquisition of SMM was without the benefit of access to political influence," and in so doing create an impression that you are some form of higher authority or tribunal. To the extent that Zimbabwe is a constitutional state, it is clearly evident that you have arrogated to yourself a higher moral ground that allows you to adversely judge others with no regard to the constitutional, legal and moral consequences. There is no doubt that in using the term "submission" you sought to create the impression that my complaint against your irresponsibility could conceivably be construed as an attempt to negotiate with you on averments that were meant to cause injury to my name and standing. You then proceed to state that: "Although, I have not sought to personally verify the facts submitted to me by Mr. Mawere, I am duty bound to report his submissions that his business activities in Zimbabwe were not politically linked or aligned to any political person or political institution," when verification ought to have been the starting point before associating yourself with incorrect and defamatory statements. I did agree to meet with you in good faith on the assumption that ignorance and not mischief had informed your baseless and defamatory allegations against me. However, it is clear from the above statement that you consider yourself to be a "superior" human being who deserves to be rewarded for wrongful actions. For the record, I never made any submission to you as the purpose of the meeting was to enable you to provide the factual basis of your statements. It was only when you admitted that you had no facts to support the statements you made that I volunteered to give you the correct information and facts so that henceforth you can learn that intellectualism carries with it onerous obligations. I did point out that even journalists have an obligation to uphold certain moral standards and you are not immune from such obligations to the extent that you have ambitions to venture into a profession that imposes on practitioners the need to be objective, impartial and detached from the subject matter of interest. The fact that the allegations were made in the context of what you characterise as a movement involving actors in Zanu-PF is troubling and unfortunate. You will appreciate that I am not an actor in the drama unfolding in your party to allow you to opportunistically and mischievously place me in a self-created and dishonest narrative that is only meant to advance a predetermined outcome. You state that: "As the Mazowe Crush movement is gaining currency across Zimbabwe, it is imperative that Zanu-PF institutes mechanisms that will thwart the emergence of a possible third major national SPE," and in so doing suggest that I was some kind of project of Zanu-PF. One would expect you, to the extent that you regard yourself as an intellectual, to have respect for facts. Your intellectual dishonesty can and ought to be practised against Zanu-PF members or such approaches to intellectual discourses should be restricted to people who have no independent minds. Unfortunately, I have a mind of my own and it is for this reason that I am writing this email directly to you so that the consequences of your actions can be made known to you in advance before I take the necessary actions to protect my name and reputation. It is always dangerous to live in glass houses and choose to throw stones in the hope that the victims have no recourse because, regrettably, the Republic of Zimbabwe has been transformed and continues to be treated by people like you as some form of a project to sustain and entrench undemocratic practices where accountability can be reduced to a luxury. You stated in your article that: "Consequently, it is important that Zanu-PF establishes a framework for objectively reviewing performance of its elected and appointed officials," and in doing so imply that the acquisition and operations of the SMM group of companies was part of a Zanu-PF project without regard to the correct legal and factual matrixes. Now turning to the defamatory allegations you made in your article in which you sought to place the affairs of SMM, a private company, in the ambit of the messy and infantile Zanu-PF politics, it is important to set out below the allegations made especially having regard to your failure to take responsibility for such false and defamatory statements. I was compelled to call you before writing this email because you make very serious allegations against me without even affording me the opportunity to know and let alone respond to the allegations. The acquisition of SMM was supported by a government guarantee. I was offered a very senior position within one of Zanu-PF's Provincial Executive Committees. I created a dubious agricultural company whose modus operandi included reinstating evicted white farmers under the guide of engaging them as consultants. FSI Agricom, the company you describe as "dubious" even went as far as accessing Z$5 billion out of a Z$7 billion facility created for A2 farmers. During a meeting of the Zanu-PF National Youth Assembly in 2003, you were tasked by the Youth National Executive to make a presentation to President Mugabe on the dangers that FSI posed to the Land Reform Program and the empowerment of indigenous farmers. You were tempted to speculate that my alleged strong links to a senior Zanu-PF official that you identified as Hon. Mnangagwa might have led to a decline in Hon. Mnangagwa's fortunes (as is the case with the alleged association between Hon. Kaukonde and Vice President Mujuru). Hon. Mnangagwa could have had his commitment to the total liberation project questioned. Hon. Mnangagwa "akadziya moto wembava" implying that Hon. Mnangagwa associated himself with a "thief," directly identifying as a thief (criminal). You then proceeded to describe me in uncomplimentary and defamatory manner, firstly by seeking to introduce a new term, Speculative Political Entrepreneur" (SPE) into the vocabulary of Zimbabwe. You describe an SPE as a commercial and business-oriented individual who seeks to abuse access to political influence for personal and individual commercial and business benefits irrespective of the political and/or ideological damage that they inflict. You then describe me as: "ideologically bankrupt, and devoid of ethics and decency". You will recall that I provided you with all the information confirming that no government guarantee was used in the acquisition of SMM. In addition, I provided you with all the documentary evidence confirming that Hon. Mnangagwa was not involved in the negotiations and the completion of the transaction that led to the acquisition of SMM's UK parent company, SMM Holdings Limited ("SMMH") in the United Kingdom by Africa Resources Limited ("ARL"), a company registered in the British Virgin Island. I informed you that the acquisition of SMMH did not take place in the jurisdiction of Zimbabwe. In addition, I pointed out to you that neither the government of Zimbabwe nor Zanu-PF were involved in the transaction as the seller was a UK registered company and the purchaser was a BVI registered company and the property so acquired was located in the UK. I gave you the necessary correspondence confirming that the transaction was originated by me on an unsolicited basis. At the material time, I was living and working in the USA. With respect to the purported guarantee, I provided you with a copy of the guarantee and the parties involved. You will recall that the said guarantee was provided to a UK-based Bank, KBC Bank, and not to SMM. The purpose of the guarantee that was only issued in July 1998 or two years after the acquisition of SMMH by ARL, is clearly spelt out in the guarantee agreement. You also noted and accepted that the guarantee was signed by the then Minister of Finance, Hon. Dr Murerwa, and not Hon. Mnangagwa as you had implicitly alleged. With respect to the affairs of FSI, you were provided with the background information contradicting your allegations that FSI hijacked funds that were meant for A2 farmers. You did not provide any context in which you complained to President Mugabe about the affairs of FSI and the alleged theft of funds. You will appreciate that FSI was a lawful company duly incorporated under the laws of Zimbabwe and as such, if it was your position that the company was dubious, then you ought to have complained to the relevant authorities and not abuse your relationship with the President to undermine the rule of law. One would have expected you as a former Deputy Minister and legislator to know better. In as much as you may wish to position the President as a super-citizen, the Constitution of Zimbabwe does not recognize him as such. His powers are borrowed and, in any event, Zimbabwe is a Republic yet your actions and utterances seem to suggest otherwise. I did inform you that one of the members of the Mazoe Crush Project, Hon. Chinamasa, had lied before the last Parliament, and more significantly in press statements alleging that SMMH is now owned by AMG Global Nominees Private Limited ("AMG") pursuant to a transaction concluded by AMG with funds unlawfully provided by the Reserve Bank of Zimbabwe ("RBZ"). You were provided with copies of the relevant UK judgments confirming that the attempt to acquire SMMH following the placement of the company under extra-judicial reconstruction failed and, therefore, there was no legal basis for Hon. Chinamasa to have misrepresented to Parliament that the ownership of SMMH had changed. With respect to the role of Hon. Mnangagwa in the post-reconstruction affairs of SMM, you promised to enquire into the matter. I naively believed that the time I spent with you going through all the allegations that were resident in your mind was in the national interest. However, your actions subsequent to the meeting suggest otherwise. On Wednesday night, I received a phone call from Hon. Mupfumira who was angry that you had on your return to Zimbabwe chosen to misrepresent the facts regarding our meeting. He informed me that you had chosen to scandalise not only her good name but also that of Hon. Josiah Hungwe. I called you on Thursday, 27 November 2014, in the morning to establish what you had told your uncle. You promised to call me back but regrettably you chose to respond to me through another article in which the context and content of our discussions is misrepresented. You will recall that you had offered to apologise for your reckless and defamatory statements but I had suggested that before apologising it was necessary to verify the facts that I had provided to you especially having regard to the irresponsible statements that have been made by Hon. Chinamasa and Gwaradzimba regarding the true ownership position of SMM. I also told you that I had met with Hon. Fred Moyo regarding the issue of SMM. In addition, I also informed you that I had met with Hon. Chief Charumbira together with Hon. Chimutengwende and Hon. Mupfumira to brief them about the distortions that have been made regarding the SMM matter. You will also recall that I also informed you that I had met separately with Chief Charumbira and the Speaker of Parliament, Hon. Mudenda, to give them the correct facts. It was against the above background that I provided you with documents so that you can verify the facts regarding the acquisition of SMM, its reconstruction and the current state of affairs. This was meant to assist you in ensuring that you desist from using the platform provided by the Sunday Mail to distort, scandalize and negotiate your future role in Zanu-PF on the back of innocent persons. I have taken the time to write this email to demand that you give an undertaking that you will unreservedly withdraw the aforementioned defamatory statements by close of business on 1 December 2014 failing which I will proceed to take the necessary legal action against you. I have also taken the liberty to copy this email to the Sunday Mail so that they also can take note that they have a responsibility as the publisher to protect the public against abuse by political people and pseudo intellectuals like you. I trust that you will find the above in order.